The Used, Thrice, Circa Survive, Sum 41, and more have been announced for the Rockstar Disrupt Festival. Sum 41 will be playing a Does This Look Infected? set at Warped Tour on July 17th. Sparrow Sleeps have released a set of Sum 41 lullabies. You can check out Half Hour of Nap on Spotify or Apple Music. Sum 41 have shared a new update that says they’re demoing new songs right now and they hope to have a new album out next year. Sum 41 are going on tour to celebrate Does This Look Infected? turning 15 years old. Sum 41 have uploaded their performance of “Fake My Own Death” on Colbert to YouTube. Sum 41 and Pierce the Veil have announced a new tour together. Dates are below. Sum 41’s All Killer No Filler is getting a vinyl re-press on January 27th. Sum 41 did an acoustic performance for Rolling Stone. 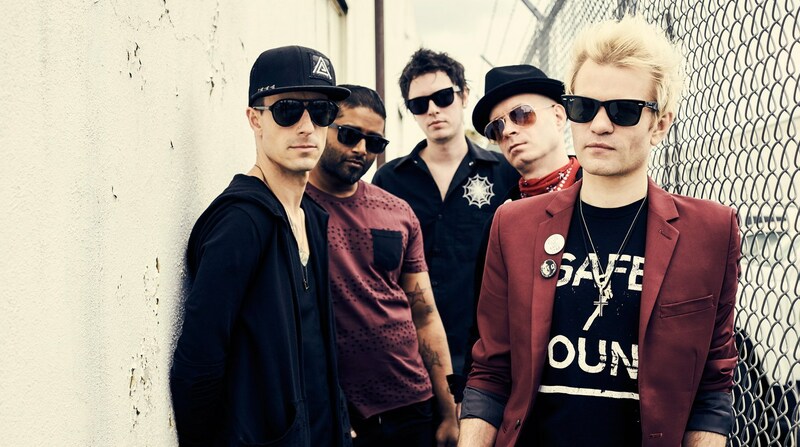 Sum 41 have announced some UK tour dates. You can find those below. Sum 41’s performance of “Fake My Own Death” on The Late Show with Stephen Colbert can be watched below.